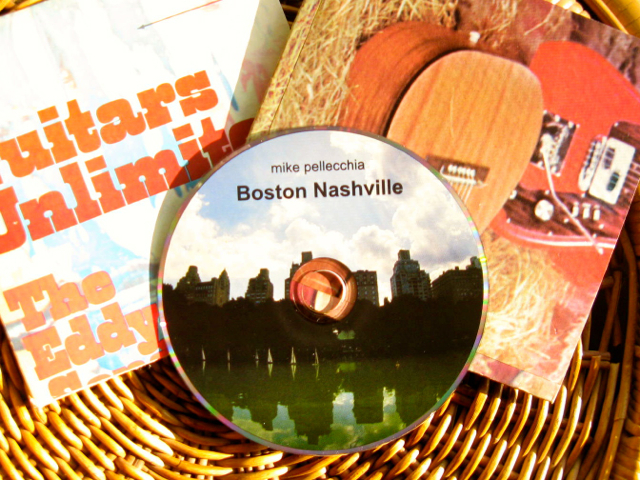 Boston Nashville twofer "guitars unlimited"
Two copies of the Boston Nashville CD, paired with unique cardboard sleeves derived from a "Guitars Unlimited" album sleeve. Keep or share, a CD for the house and one for the car. This unique handmade sleeve, derived from an old LP record album, is available exclusively with this purchase on this site. To hear a sample from the album, "Island In The Harbor", click the arrow below. Notify me of updates to Boston Nashville twofer "guitars unlimited"